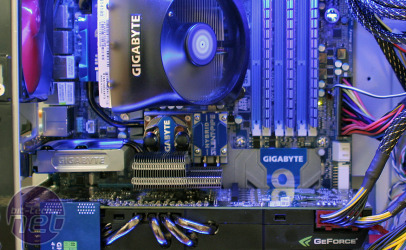 Gigabyte's X58A-UD9 is one of the most expensive motherboards ever sold: that's fact. At $699 it costs as much or more than most whole computers or laptops sell for. Straight up in our meeting pre-Computex we asked Gigabyte the obvious question: why should anyone ever pay that much for a motherboard? Gigabyte stated that it was seeing "very good sales" from its UD9s already, but the answer was a bit more than "because we can" though. Gigabyte's attitude is that, if the options are there and users want it, then it's worth making. Its X58A-UD9 has literally everything Gigabyte could throw at it, but it's more than the SATA 6Gbps, USB3, on-off charge and a few more power phases. The 24 phase power hardware is completely revamped, the board is XL-ATX and has seven PCI-Express slots for full 4-way CrossFire or SLI. If you're dropping $700 on a motherboard, it's fair to say you'll also be throwing more at graphics cards too, right? 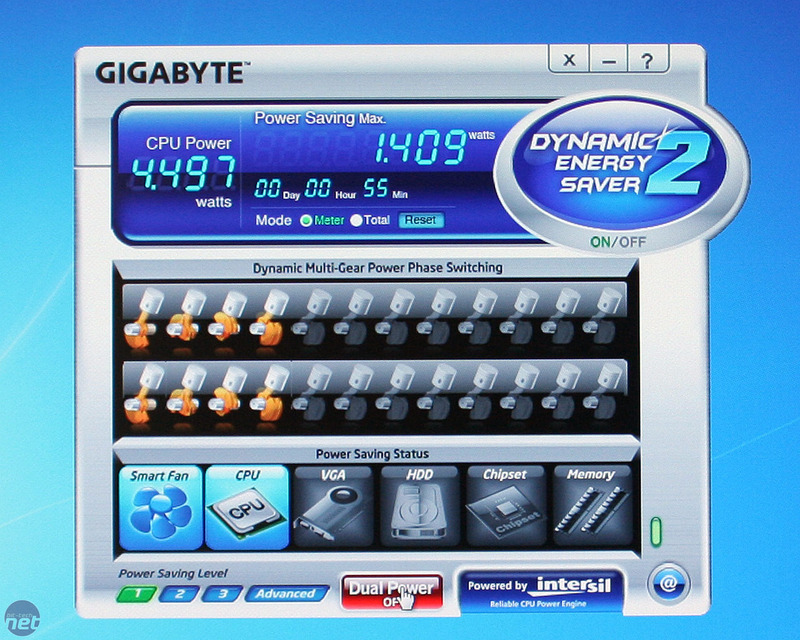 That 24 phase hardware is now branded Gigabyte's Unlocked Power CPU VRM design: a "true" 24 phase, that Gigabyte have demonstrated will handle up to 1,500W (that's not a typo) through the MOSFETs. Gigabyte know this figure is completely OTT - the twin 8-pin connectors can theoretically provide only 480W - but it wanted to prove a point that its power hardware won't fail under any circumstances. 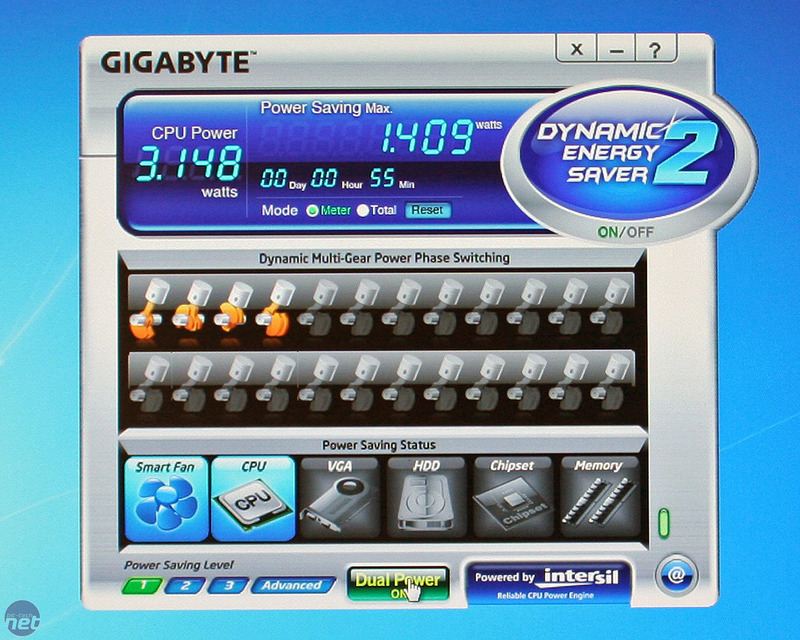 Gigabyte explained it was another step in its continual evolution of its CPU power design, from Dual Power System, through solid capacitors, through its iterations of Ultra Durable technology to the current "Unlocked Power" that future motherboards will benefit from to some degree. 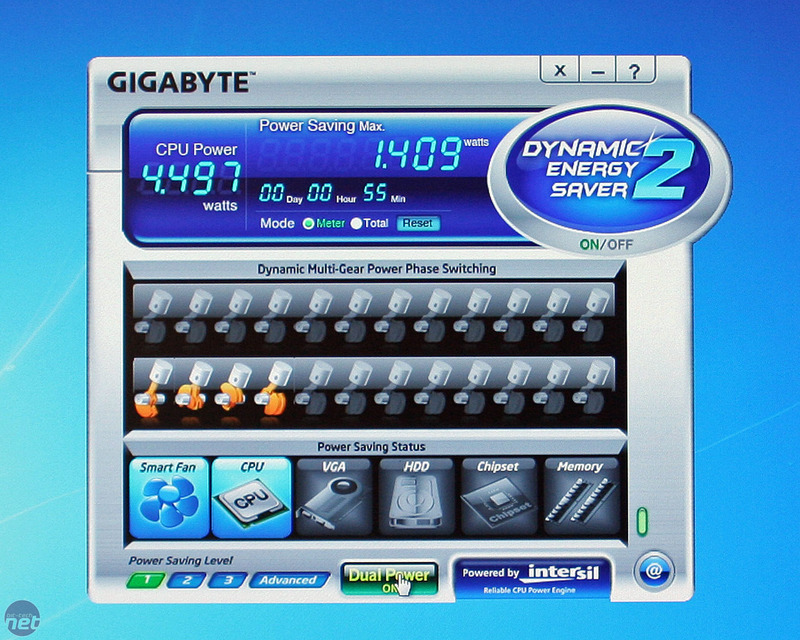 Along with Gigabyte's EnergySaver software, those 24 phases can be split into two sets of 12 phases that alternately power up to further prolong its life every time the PC is shut down or goes into hibernate mode. Should your OC require more than the 12 though, then all 24 will fire up with no additional user input. Then the alternate set of MOSFETs fire up when the PC is restarted. 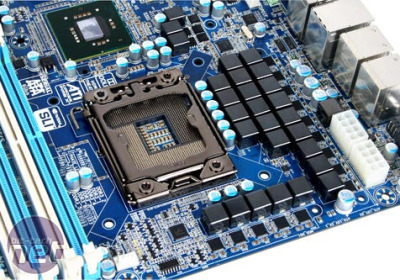 With regards to the XL-ATX format versus EVGA's dual socket, wide-boy SR2 motherboard, Gigabyte said the case compatibility with XL-ATX is far better than wider EATX, and that demand for dual-CPU Xeon solutions was far lower than single CPU with multi-GPU. Even though the UD9 motherboard is designed for bench-top testing, Gigabyte explained it wants the board to be an investment to last long enough that it's still used in a case, as someone's system after they've done their benchmarking with it. 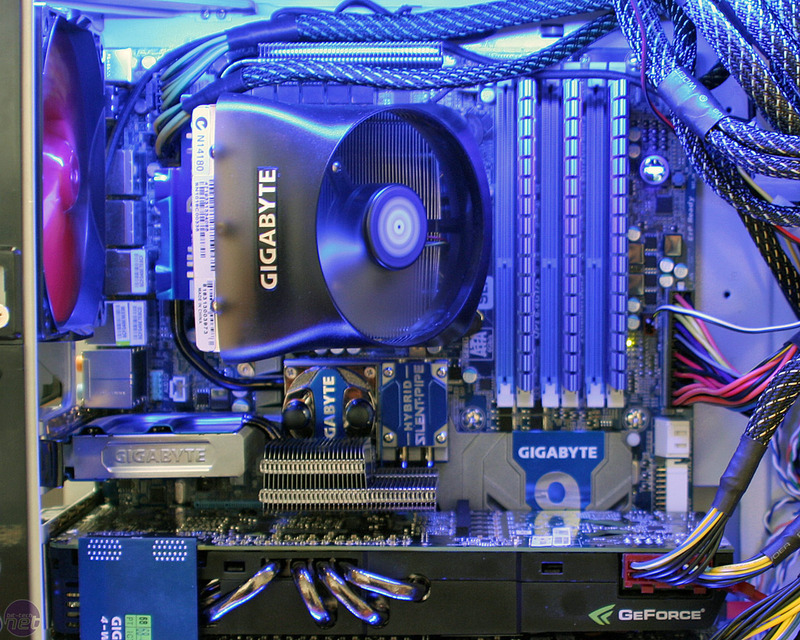 Users who buy the UD9 boards will also find Gigabyte listening far more closely to their needs. Upon registering they are then part of its VIP program, and it claims it's willing to throw engineers at the BIOS to meet your needs: it's the closest attempt to a personalised service we've seen yet. Is that all worth $700 though? There's no doubting that enough people want personalised services for many products, such as cars for example, but motherboards too? Despite our continual pushes towards Gigabyte's excellent value UD2/3/4 boards, Gigabyte still sells many UD5/6/7 as people are easily upsold on the "more metal = faster" design at the point of sale. UD9 will be a difficult upsell though. With respect to its latest power design, 1,500W certainly proves the hardware has considerable overhead, but statistically speaking surely using more components means chance of getting a bad component also goes up? And also what's the use of installing more hardware than you could possibly ever use? From what we've seen Gigabyte is tapping into the "F1" market of hype and luxury quite successfully and it isn't the only company to do so: Asus Republic of Gamers program does very well and MSI is promoting its Big Bang series also very hard too now. As we already know from our own forums, 3/4-way SLI or CrossFire still sells and benchmark numbers are always discussed and drooled over by many. What does $700 get you then? A few more numbers and an empty wallet.